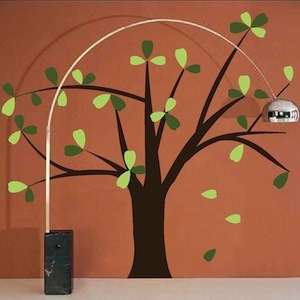 Interior wall design becomes your own art project with the Neva Tree Wall Art Design! 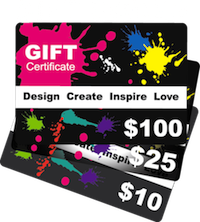 Why waste time, money, and energy with painting when the Neva Tree Wall Art Design has saved you all of that trouble? Designs have many options for orientation that give you the flexibility to change and reposition to your taste if necessary. Try to get a painter to do that! 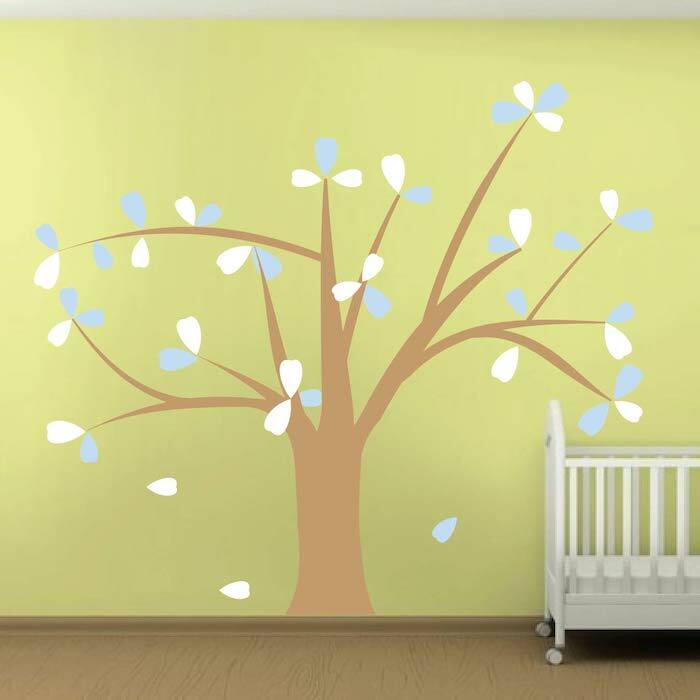 The Neva Tree Wall Art Design is made from 100% interior safe, removable vinyl that appears painted right on the walls! Perfect for permanent or temporary decorating! Includes 46 leaves. 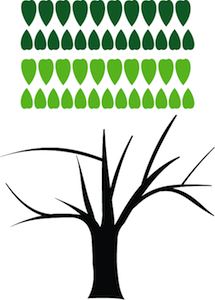 Tree available in 2 different sizes, larger tree includes larger sized leaves. Choose the trunk color along with 2 leaf colors. Available for purchase as an extra set of leaf pack (23 extra leaves) in any of our 40 colors. Arrange the leaves however you wish. Larger tree big enough to cover a standard size wall! Please note: The plain, black and white image with the leaves below the product image is the actual design you will receive with each order in the color and size of your choice. Specify the desired orientation when applicable. Design sizes within a close approximation. This is such a cute tree. It was easy to stick on the wall, it looks great, and it's worth the money. I got the larger size and I am very happy I did. I sticked it on a wall next to the kitchen area.